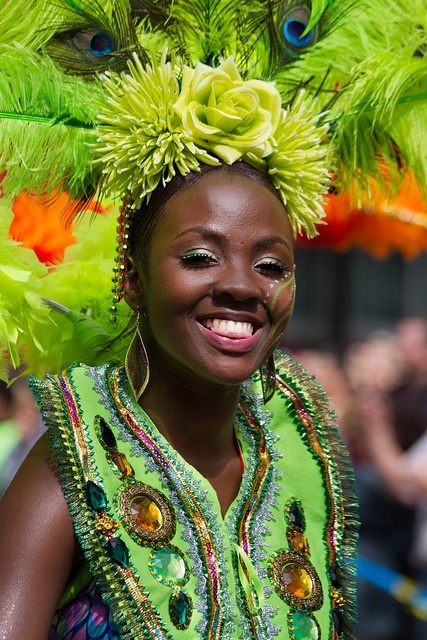 Always wanted to take part in the Notting Hill Carnival? Categories: Carnival, Community, Eating & Drinking, Events, Music | Tags: coldharbour lane, Community, loughborough junction, Notting Hill Carnival, Ray Mahabir, Street festival, street party, Sunshine International Arts | Permalink. 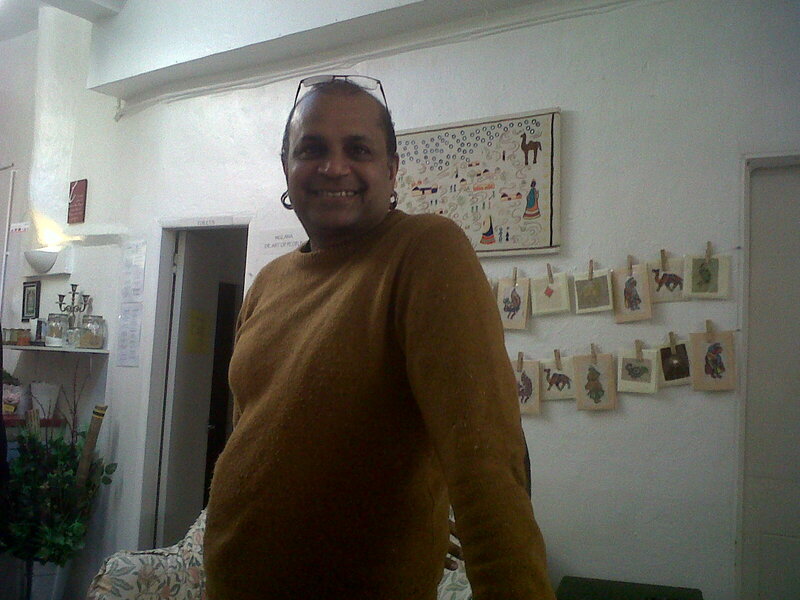 I popped into the S.i.A Community Arts C.A.F.E at Studio 5, 209A Coldharbour Lane (under the arches opposite Loughborough Junction station) for lovely coffee and a chat with Ray Mahabir this week. Tucked away at the end of the alley running along the curve of the railway line, it’s a treasure trove of art and good food – and the venue for a number of community friendly workshops – from knitting (while enjoying homemade cakes) to sewing groups and craft workshops for kids and adults. While the unseasonal weather isn’t encouraging any of us to venture out unnecessarily, Ray’s sociability and warm welcome makes this a rewarding destination. Did I mention the range of homemade chutneys on sale – and the fully licenced bar? 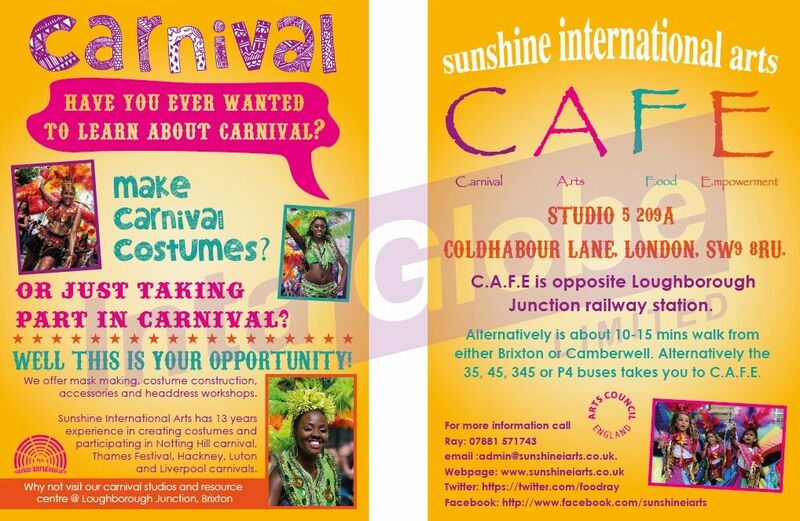 An expert on Mas (Carnival) costume design and creation, Ray’s been working in LJ since 2001 and took over the C.A.F.E (Carnival Arts Food Empowerment) space in 2011, keen to create a venue for ‘community artists’ who need room to create but can’t always afford to hire larger venues. Everyone’s welcome to the C.A.F.E where Ray has initiated projects for young and old. He wants it to become a small (and possibly big) arts resource. Blessed with a family background that blended arts and business skills, he’s still utilising his Carnival skills – assisting others to create and amend their costumes, storing costumes and pulling together a C.A.F.E Carnival group while also freelancing on projects nationally and internationally and producing some inspiring food along the way. Passionate about cooking, Ray built up his skills as a chef while volunteering at a number of charities and is now able to make the most of all his talents while building up the C.A.F.E into a community arts and social venue. I loved the vibe, the ‘PloughGirl’ lunch looked amazing (I had eaten but vowed to head back for Sunday lunch) and the space is very appealing (as is the host). If you’re into arts and crafts, dance and stretch classes (Sunday mornings), getting into the Carnival spirit or just feel like a bit of socialising – head through the gates and make for the C.A.F.E. Oh yes, the space is also available for hire – and is due to host a birthday party with a Caribbean theme next week. I think we’re onto a winner here! C.A.F.E details: The workshops are an opportunity to meet like-minded people, sit, chat, eat and drink and learn from one another. C.A.F.E is a registered Charity and intends keeping prices affordable. What Ray says about contributions: £2 goes toward space and just keeping the place open, £4 contribution and a pot of tea and £5 contribution, pot of tea and a cake. Afternoon tea, come sit read chat have a tea/coffee and a cake. 11am-12.30pm on the 1st and 3rd Saturday of each month. Bring your craft or learn a craft enjoy with like-minded arts and craft people and enjoy 2hrs of making, chatting, eating and drinking. Ray would love to hear from anyone who would like to set up an arts/ crafts project or would just like to come to C.A.F.E and finish your own project. 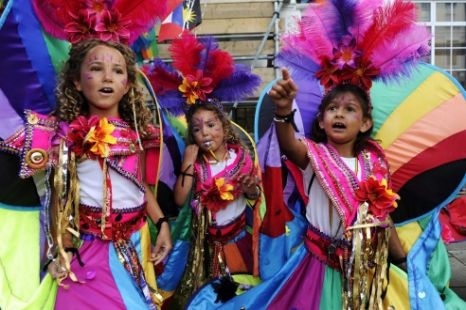 Categories: Arts, Community, Eating & Drinking, Events | Tags: Carnival Arts Food Empowerment, coldharbour lane, loughborough junction, Sunshine International Arts | Permalink.